Download any Kenya map on this page by pointing your mouse at them, right-click, click on “Save image as…”, choose where you want to save the map on your hard disk, and click “Save”. 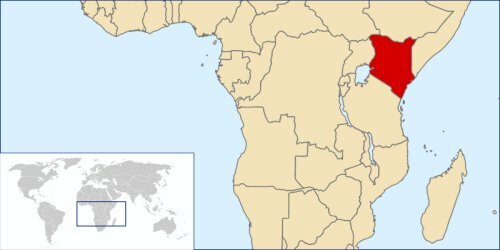 Kenya is bordered in the north by Ethiopia and Sudan, in the west by Uganda, in the south by Tanzania, and in the east by Somalia and the Indian Ocean. People think Kenya is safari and wildlife, and it does have wonderful wildlife parks, but Kenya also has a stunning 536 kilometer (333 mile) coastline with broad white sandy beaches and palm trees which make you feel as if you have landed in paradise. Mount Kenya is the highest mountain in the country and is located several hundred kilometers north of Nairobi. The above map shows the position of Kenya in the African continent. 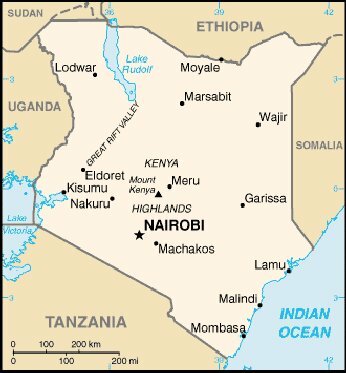 Kenya, specifically Nairobi, still functions as the hub of East Africa. 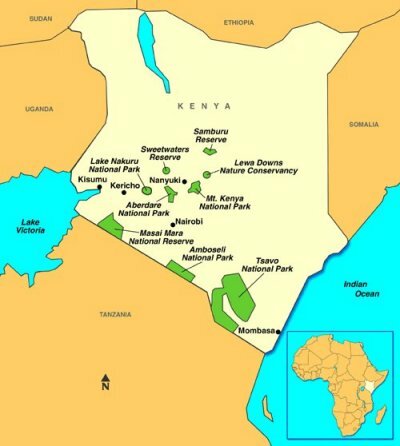 The map above shows the main national parks of Kenya. There are actually many more, but these are the important ones. Tsavo National Park, by the way, is divided between Tsavo East and Tsavo West. You’ll have to pay separately to enter each park. 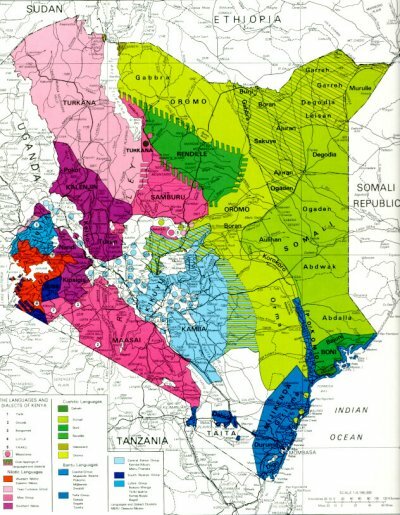 The map above shows the dialects (languages) of Kenya, which partly, but not entirely, correspond with the tribes. 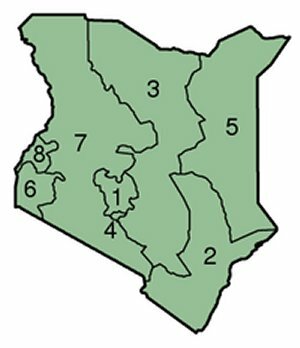 The above map shows the 8 provinces Kenya. The numbers are: (1) Central Province, (2) Coast Province, (3) Eastern Province, (4) Nairobi, (5) North Eastern Province, (6) Nyanza Province, (7) Rift Valley Province, (8) Western Province. Nairobi Province is at the same time also a district and a municipality. Provinces (mikowa) further divide into 71 districts (wilaya’at). These are divided again into 262 divisions (taarafe). 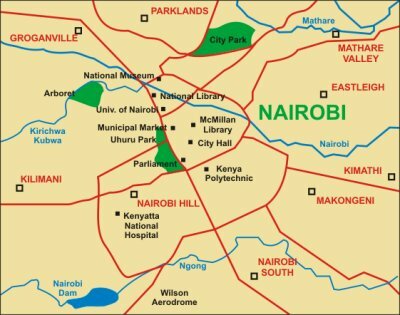 Above is a map of Nairobi city centre. For a physical map of Kenya, visit your local bookstore. Detailed maps are too big too to be contained on this website. So click here for a detailed Kenya map.